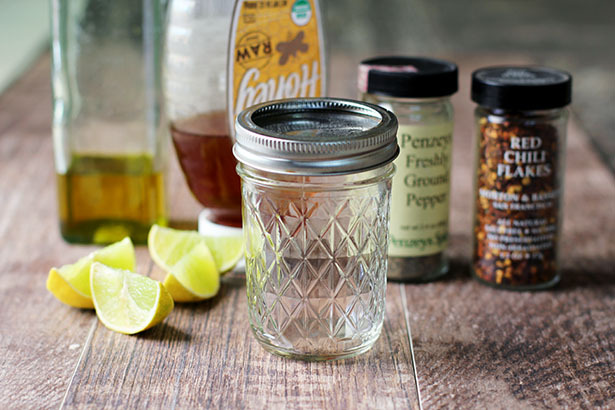 Sweet & Zesty MacGyver No-Sodium Vinaigrette + Sodium Breakup + A Low-So Good Giveaway! I’m going to start a post about low-sodium eating with a crazy statement: I love salt. No, really. I LOVE SALT. So when I met my friend Jessica Goldman Foung (a.k.a. 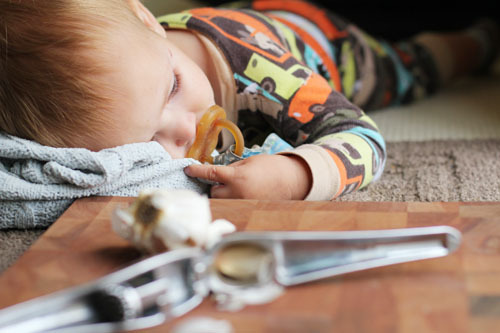 Sodium Girl) many moons ago, I have to be honest that low-sodium eating was something I had never even thought about. Then I heard Jessica’s story. In 2004 she was diagnosed with Lupus and learned that the autoimmune disease had attacked her kidneys and brain. As a result of all the craziness, she had to adjust her diet, including eating no sodium. This pretty much blew my mind. No sodium? How is that even possible? After following Jessica and her culinary adventures all these years she has proven to me that a life without sodium can be a rich and delicious one indeed. She is quite the inspiration. The American Heart Association recently asked if I would help spread the word about their new Sodium Breakup campaign. I was more than happy to so that people like me (a salt lover who could definitely improve her diet to help her heart) and people like Jessica (someone who had to give up salt to save her life) could both learn all about low-sodium eating. I was honored to be given the opportunity to write the kick-off post for the campaign on AHA’s website, which you can read by clicking here! Over the next few months you can keep checking in with the AHA to get all kinds of great low-sodium information, tips and more. The AHA is bound and determined to make your breakup with sodium a breakup you are happy about! And I have even more low-sodium goodness for you today: a book, a recipe and a giveaway! First, the book. 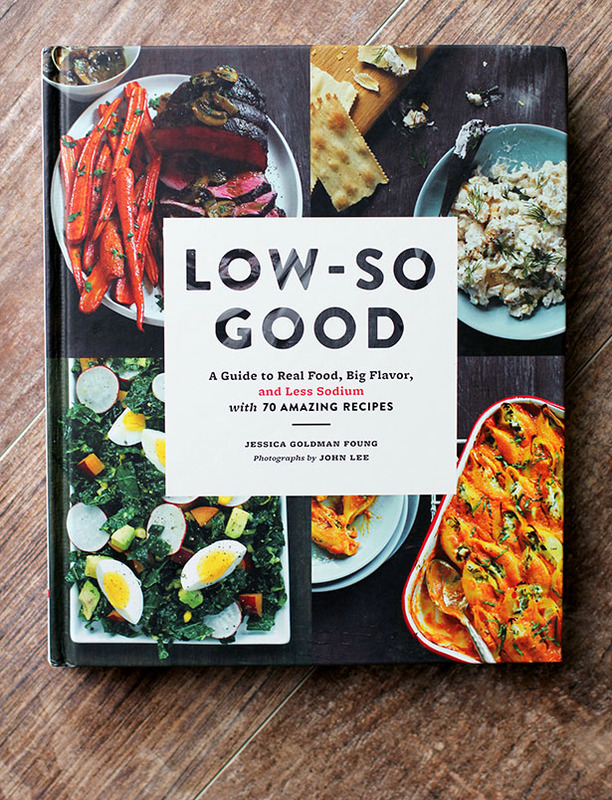 Low-So Good is a beautiful resource written by my friend Jessica. 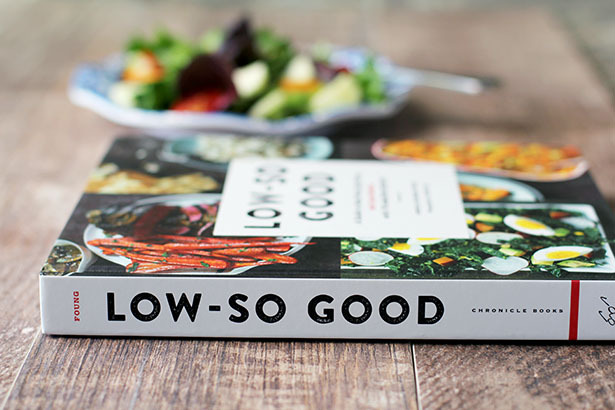 The book has 70 mouthwatering recipes (hello, Jerk-ish Fish Tacos with Sauce, Slaw and Salsa, I need you in my life), but it is also a complete guide to low-sodium eating. Low-sodium novices and experts alike can benefit from what Jessica has to offer, and I love the guest articles peppered throughout the book from other food experts. 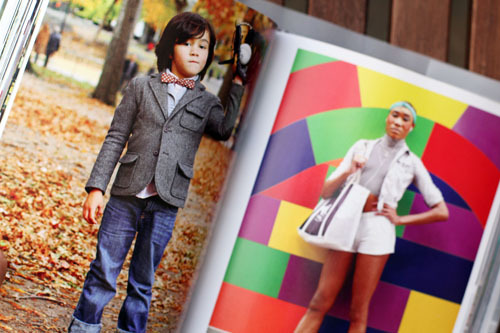 The photography is gorgeous, the book is well organized and easy to read, and, best of all, Jessica’s infectiously happy personality shines through. I highly recommend this book to anyone looking to cut some (or even all!) sodium from their diet…or really to anyone at all! Click here to buy Jessica’s book! Second, the recipe. A really helpful part of Jessica’s book is advice for eating in restaurants when you’re trying to go low-so. 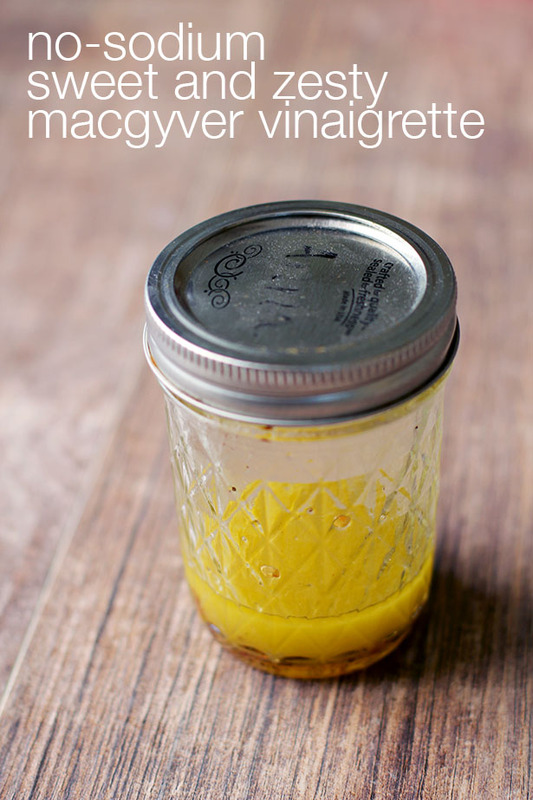 One of my favorite recipes in the entire book is MacGyver Vinaigrette. 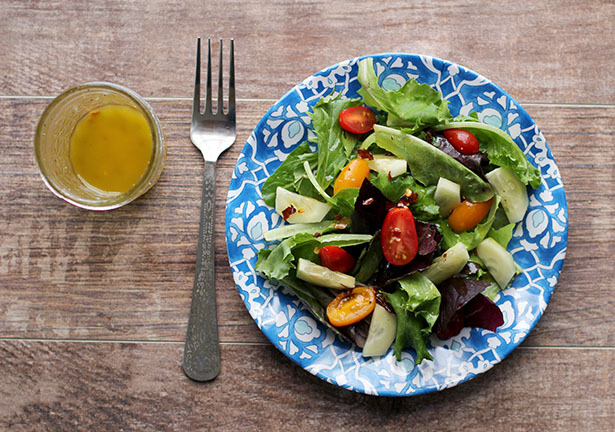 It’s more of a formula than a recipe, providing the guidance you need to make a salad dressing on the fly with ingredients you can find at restaurants. It’s awesome. So today I’m sharing one of my MacGyver no-sodium vinaigrette creations, which is sweet and zesty! The recipe is below and sized for one serving. Leave a comment on this post! Easy peasy! 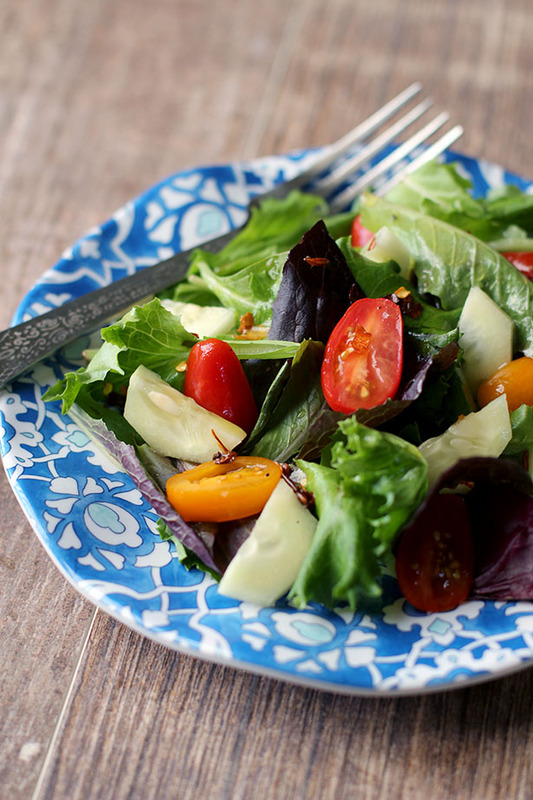 And now for a no-sodium salad that will make your taste buds super happy! And good luck with your sodium breakup adventures! In a small bowl or in a small mason jar, add all of the ingredients. Whisk with a fork or shake well. Show and Tell: So much to show, so much to tell! Happy Friday! I’m brimming over with things to share with you today! 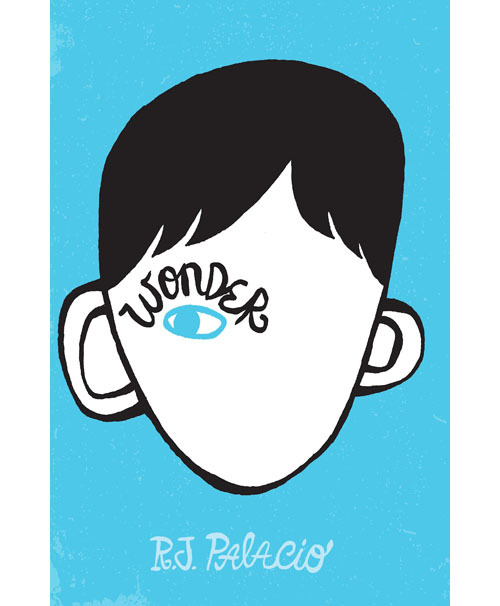 First, I finally read Wonder by R.J. Palacio. This book should be required reading for ALL HUMANS. And once all the humans have read it, it should be required reading in every 4th grade class every year from here on out until the end of time. Plus, it’s really just so beautifully written and touching and uplifting and WONDERFUL. Please read it. Please. I have a fun announcement today about some added functionality to This Week for Dinner. You may have noticed there’s a new button called “Recipe Box” on my navigation. If you roll over “Recipe Box” you’ll see that you can click on two options: “Recipe Box” and “Shopping List.” When you click either of those you will be automatically connected to ZipList, a company I am now partnering with! Some of you may already be using ZipList, in which case you know what’s up and how cool it is! All of the recipes on my site are now set up to be saved to your recipe boxes and shopping lists. If you don’t know what ZipList is, it’s basically a shopping list that makes life easier! You can save recipes to your ZipList recipe box, add ingredients from recipes to your shopping list, save shopping lists, and access all of this on the web or through a mobile app. Bottom line, it’s super handy and cool and perfect for meal planners. If you have questions, let me know! As you know, I’m slowly working on furnishing and designing our living room. Well, I just bought a chair to add to the space and I am SO EXCITED about it. It’s the Wimsey Club Arm Chair from Dot & Bo. I kind of just want to show it off (isn’t it purrrrty? ), but also I had such a fabulous shopping experience with Dot & Bo I felt like I should shout it out from the rooftops. 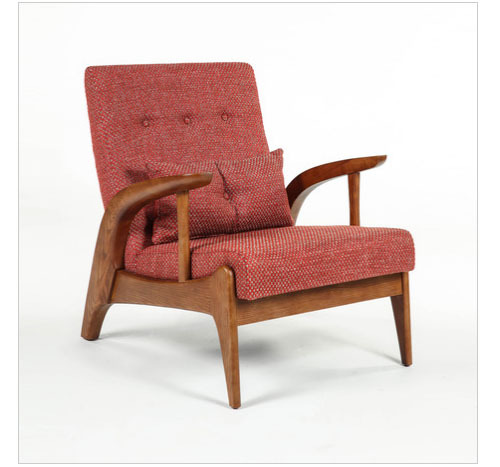 So, I had my eye on this chair for a while, but was scared to pull the trigger. After two interior designers said that I should buy the chair THIS INSTANT, I finally went to do so but it was sold out. Well, when something is sold out on their site, there’s an “I want it” button, which brings you to a page which says something like “Let us know you want this chair via these various social media channels and we’ll see what we can do” so of course I immediately tweeted out my anguish over not getting this chair. Within hours I had an email from someone named Jessica, who was checking with their distributors to see if there were any more chairs available. When there were not, she was able to find out they would be getting it back in stock in about 2 months. THEN, as soon as it was available, I had an email from her letting me know. She was so nice and so helpful. Even after I bought the chair (and a lamp and some cute Swedish stuff), I received another email from another customer service person just checking in and letting me know she’d be tracking my order for me. AMAZING customer service, SUPER cute stuff. I am basically in love with Dot & Bo. Last but not least, here are my fun Cosmo food posts for the week! I think I’ve shared enough, now it’s your turn! I have two things to share today. I’m a mom. I work from home and I’m the primary caregiver. And those little people that I care for are always around, even when it’s time for a “photo shoot.” Nearly half of the photos I take have fingers sneaking into the shot, or faces popping up in the background. I just learn to work around it and work quickly. Yesterday, though, it went beyond cute chubby fingers sneaking in to steal a cookie. It went to a whole other heart-melting-I-can-barely-hold-my-camera-steady-garlic-what-garlic-that-boy-is-so-cute-heaven-help-me level. 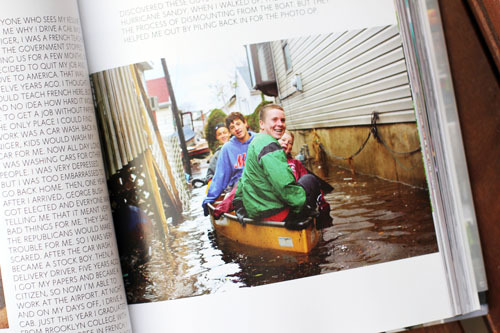 Moving on to share item #2: Humans of New York (HONY). I always assume everyone knows about this blog, but, surprisingly, many people I mention it to have never heard of it. I simply will not rest until I get all people as addicted to HONY as I am, so a blog post is in order! 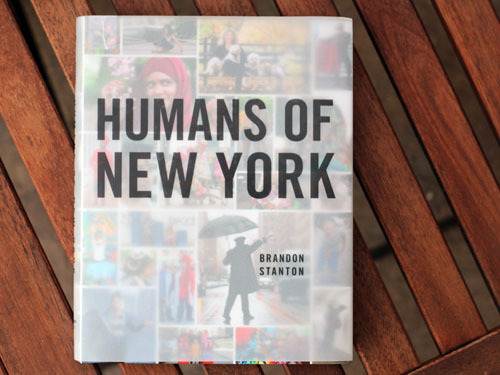 HONY was started by Brandon Stanton, bond trader turned photographer, who interviews and photographs (you guessed it) humans in New York. His blog is wildly popular and he published his first book this month, which I pre-ordered ages ago. The book is as wonderful as the blog and made it to the #1 spot on the New York Times Bestseller list for non-fiction. If you aren’t already, you need to start following the blog and/or the Facebook page and/or buy the book. Beyond telling you about the website and the book, I also want to tell you an interesting experience I had as a result of reading HONY. I grew up in New Jersey and New York was our city. I went in frequently and know the place well. Last week I went on a quick business trip to New York. It was the first time I visited the city since starting to read HONY and it completely changed my perspective. If you’ve never been to New York, it is just as busy and full of people as you might imagine, maybe even more so. When you’re there, you have to put yourself on fast forward, keep your head down and just go. Of course you notice people around you, how can you not? But usually you notice them in a quick way. However, on this trip, even though I was moving quickly, for the first time I was really noticing people. Not in a who-is-that-creepy-lady-staring-at-me-on-the-subway way, but in a these-are-all-humans-with-stories way. I had so much more compassion for people. I wanted to talk to people, find out what was happening in their lives. I wanted to get my camera out all the time. Instead of seeing a jacket that I previously would have thought was “ugly” I now saw a woman who really loved a fun jacket that made her feel good. I really, truly felt differently about everyone I walked by or sat next to or waited in line with. It might sound cheesy, but HONY truly changed my perspective. I feel like I’m a pretty compassionate person and always have been. But what Brandon does is unique. He stops a stranger and asks them a question – not “What do you do for a living?” but “What would you tell a large group of people?” or something similarly probing. He tries to get something “real” out of the person. As Brandon says on his site, “Adding even the simplest quote to a photo can lend so much humanity to an image.” That is where the power of HONY lies – a beautiful image paired with a bit of humanity, a peak into someone’s soul. And those souls are all so different and oftentimes unexpected. I’m sad that it took a visit to New York to trigger this experience and these thoughts for me, but at least it happened! There’s just something about being among 8 million people that gets you thinking. My goal is to take these feelings I had in New York and keep them with me, to look at all people wherever I am in this same way. My kids and I delivered cookies to all of our neighbors last night, as a way to meet people. We knocked on strangers’ doors, we smiled, we offered a gift, we asked their names, we showed interest in who they were. For some neighbors, they just needed a quick hello and a smile, for others they needed to sit down with us, share photos of their families, just talk. Once again I realized that everyone has a story and everyone wants to be noticed and loved, even in small and simple ways. 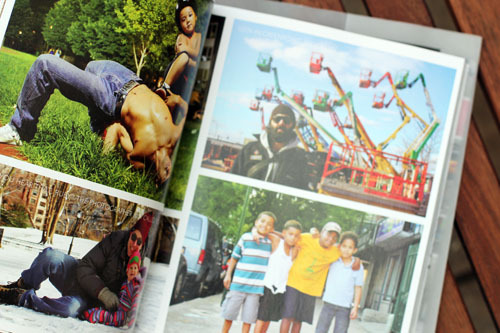 Here are a few of photos from HONY that I love, although I could list photos all day! Each click is a different link. Click! Click! Click! Click! Click! Click! Click! Click! Click! Click! Click! Click! It’s show and tell, which means everyone in class gets to share. Show us what you got!